A version of this article was first published in Tradegood Viewpoints on October 13, 2014. Government procurement now makes up 15-20% of a country’s GDP. Many Asia-Pacific economies have signed on to the WTO’s new Government Procurement Agreement (GPA), which means greater market access for foreign companies, but a number of key countries are still on the sidelines. Despite this, there are still huge opportunities in the region, particularly if the Transpacific Partnership (TPP) is implemented and large players, such as China and Korea, join the GPA. 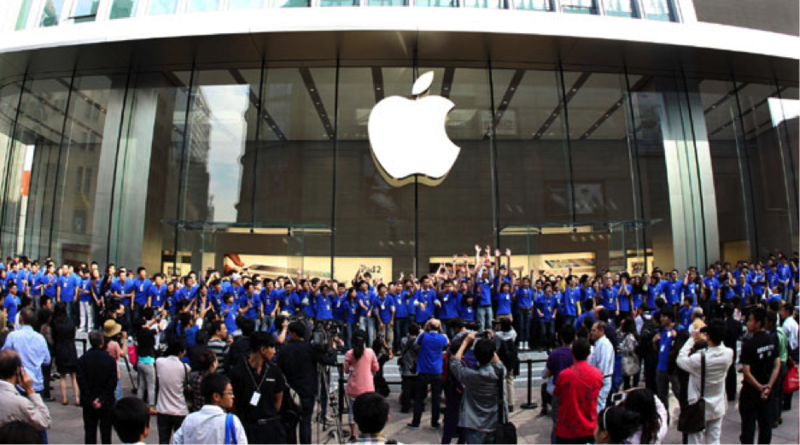 China denies banning government agencies from buying Apple products. With Asia’s private sector economies booming, it’s easy to overlook one of the biggest market players in the region – its governments. Both the WTO and Asia Development Bank estimate that public procurement now makes up 15-20% of a country’s GDP, a measure that points to the growing importance of government purchasing in international trade. That figure should grow, in part, due to the recent strengthening of the WTO Government Procurement Agreement (GPA) and the incorporation of public procurement rules in regional free trade agreements, such as the US-South Korea FTA and the future TPP. The GPA should be seen by the private sector as a critical trade tool because its rules ensure that governments don’t discriminate against foreign products, services, or suppliers in their purchasing, ranging from huge construction projects to office supplies and equipment. The agreement specifically requires governments to open their bidding to foreign competition and use transparent and competitive purchasing practices. The GPA is referred to as a “plurilateral agreement,” which means it applies to only those countries that have signed up to it. Currently, only 43 signatories, including the EU’s 28 member states, are party to the 1994 GPA, out of a total WTO membership of 157 economies. The good news is that a new revised GPA went into force on April 6, 2014, with 39 member economies having already signed up. From APEC, the US, Canada, Hong Kong, Taiwan, Japan, and Singapore have joined. China and New Zealand are in the process of acceding, and Korea may also start negotiations in the near future. Many Asian countries are currently observers, which will ease the way for their eventual membership. But the GPA is not the only game in town for opening government procurement markets in Asia. Both the TPP and various FTAs are incorporating strong public procurement rules to protect foreign suppliers. The TPP, which involves 12 Asia-Pacific economies, is aiming to be a comprehensive trade agreement with strong rules on government procurement. These are likely to be similar to those of other FTAs the US has completed, making it easier to align the TPP with the region’s other FTAs. Once completed, the TPP will be the largest agreement in Asia to include strong government procurement commitments. Assuming it expands beyond its current membership to other Asian economies, such as Korea, the TPP will then play an even greater role in setting the procurement standards for the entire region. This is because the TPP is expected to reflect the strengthened rules of the new WTO GPA, which many Asian countries have yet to sign on to. Malaysia, Vietnam, and New Zealand, for example, have yet to join the GPA, but would be subject to strong public procurement rules through the TPP. While the TPP is a work in progress, the region’s numerous existing FTAs have already made government procurement more open and transparent. One model for the region is the US-South Korea FTA. Building on commitments made in the GPA, the FTA expands access to Korea’s US$100 billion government procurement market for US firms. Through the FTA, US firms can now supply to more Korean ministries, agencies, and other government entities than are covered under the GPA. US contractors can also bid on contracts valued as low as US$100,000, instead of the GPA threshold of US$200,000, expanding the types of procurement US firms will be able to bid on. South Korean firms will have similar expanded opportunities in the US market. The FTA also encourages parties to use best practices, including electronic procurement tools. But perhaps the biggest and most challenging prize is China’s public procurement market, estimated at US$230 billion in 2012, according to AmCham China. When China joined the WTO 12 years ago, it promised to open up its government spending to international suppliers, but after five offers since 2007, the US and EU continue to find Beijing’s proposed commitments deficient. Unless these and a host of other shortcomings are addressed in its sixth GPA offer, due out in 2014, it is unlikely that China would be able to join the GPA and gain market access benefits from its trading partners. For example, under the US Trade Agreements Act of 1979, the US would only be able to open its federal procurements to China if it provided reciprocal competitive opportunities to US goods, services, and suppliers. With such huge market opportunities at stake, foreign suppliers would do well to familiarize themselves with the GPA, the various FTAs that have public procurement obligations, and the procedures for bidding on government procurement projects in key markets. The signing of the revised GPA and the proliferation of new regional FTAs should result in even bigger and more open and transparent selling opportunities for interested firms.